Subtitled for people with a hearing loss. 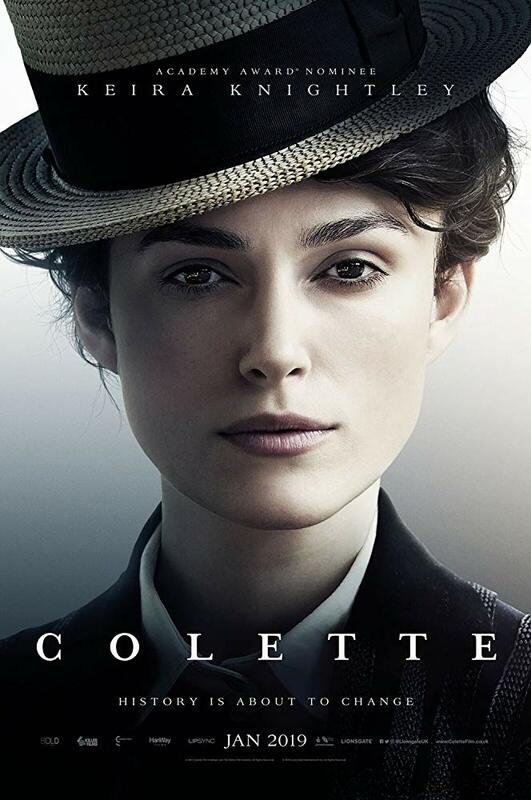 Kiera Knightley plays Sidonie-Gabrielle Colette, a young country innocent who marries the much older Willy (Dominic West), a Parisian literary lion. She soon discovers that he in fact runs a writer’s factory, passing off other’s work as his own. When she writes a semi-autobiographical novel for him, their financial worries appear to be over. But as she rejects her philandering husband for lovers of her own, can she discover her own personality and voice? The two leads are excellent, and fin de siècle Paris is lovingly created – in Leeds.